My first trip to Old Glendale Station was one of determination. It was 2004. All that was really known about the spot was the legend as it was written in The International Directory of Haunted Places by Dennis William Hauck. The catch was that no one seemed to know where it was exactly; however, I was determined to find it. These were the days of flip phones and before Google Maps. I couldn’t simply search the satellite images of the area to find the location. I did it the old fashion way; driving around for a few hours. But, I didn’t find it that way. After stopping for gas at the only gas station in Penrose, CO, desperation caused me to say kind of loudly to the cashier, “Do you know where Glendale Station is? 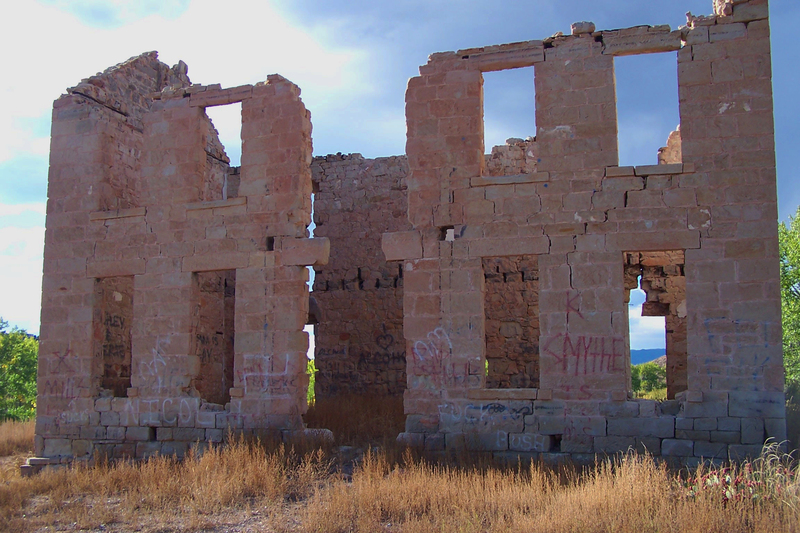 It’s the old ruins of a stagecoach stop”. It was my lucky day because the woman standing behind knew exactly what I was talking about and told me how to get there. My friend and I eagerly drove out to the area. A few times we wondered if we were in the right place because the road wanders in and out of private property. When we came to the mostly dry creek bed that we had to cross, I really wondered if we had taken a wrong turn, but then the building became visible through the trees and we screamed. After driving for hours, finding what you were looking for is pretty exciting. Honestly, I was expecting a bit more. But really, what could be expected from a 140+ year old building. Still, it was beautiful. My friend and I returned another time and I have gone back many times over the years with others. During these visits I have found horseshoe nails and what little remains of the corrals near the ruins, but nothing much else. Each time I visit, there is more graffiti. I will never understand the desire to put your mark on something that is not yours. Children trying to find their identity, I suppose. It takes away from the beauty of the ruins, hence the reason my picture at the top was heavily edited to remove the graffiti. Thank you Photoshop! Little else has been discovered about the building over the years. 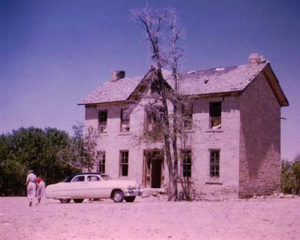 The building that now sits in ruins has gone by many names: The McClure House, Glendale House, and the Stagecoach Inn. The year the Inn was built varies from story to story, but it can be assumed somewhere between 1861 – 1878. A man named John McClure built it on the east bank of Beaver Creek, which you have to cross to access it. 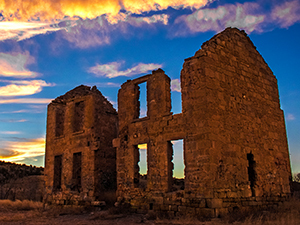 Stagecoaches carrying travelers from and to the plains as well as mail carriers on horseback would seek comfort here. They could stay an evening or two in the hotel, have a cooked meal in the restaurant, exchange horses at the corrals, or view the gardens. The Inn was one of the first buildings of the town of Glendale that grew along the sides of Beaver Creek, becoming home to over 200 by 1910. It was the location of the post office until 1909. The town had cemeteries as well that still exist today, but on private property. 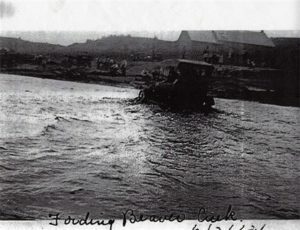 In the early 1900s, Spencer Penrose came to the area and created what would become the town of Penrose, which is currently the only town that remains of the many old West towns that once populated the area. Glendale pre-dated Penrose by over 4 decades. Another creation by Penrose would eventually lead to the demise of Glendale and the other towns that sat in the valley below his town; the Schaeffer Dam. 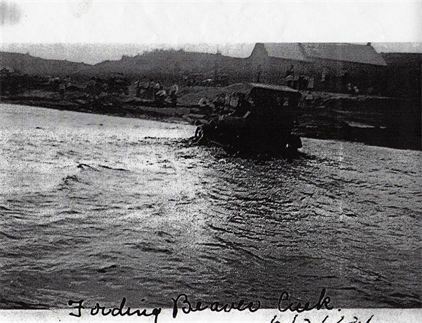 On June 4, 1921, heavy rains led to cracks in the Dam alerted everyone living downstream that disaster was imminent and the area was evacuated. When the dam broke the next day, thankfully there were no people or livestock in the way. However, the resulting flood destroyed most of the buildings and washed away the topsoil in the area, leaving the sandy landscape you see today. 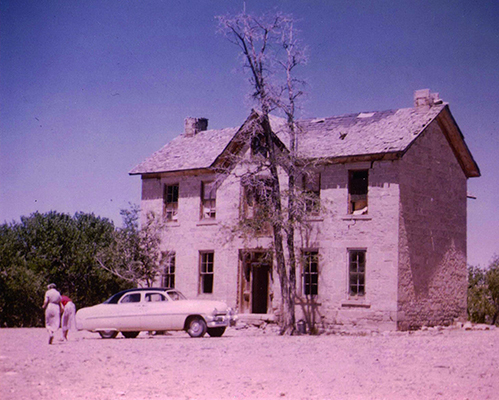 The flooding continued into Pueblo and was their worst flood in history. While his Dam destroyed many towns, Penrose went on to by a dilapidated old hotel in Colorado Springs that is known today as the Broadmoor. And what about Kathleen and her fiancé? Unfortunately, even less has been discovered about them. The fiancé did have a name; Julian LaSalle. The stories found in many books and the internet all tell the same story as William Hauck’s book of the horrible tragedy that fell upon him and Kathleen before their wedding day, causing Kathleen to waste away from heartbreak and self-imposed starvation and to forever roam the ruins of the Glendale Station in a grey, tattered wedding dress. The legend says you can sit in the ruins at night and hear a female’s voice being carried along the breeze whispering, “Julian”. But whispers are all there is. No historian has ever been able to find anything about Kathleen Cooper and Julian LaSalle. One would think that such a horrible Shakespearian-esque tragedy would have been immortalized for the ages; however, either no historical documents survived to tell the tale, or Kathleen is merely a ghost that was born out of the forlorn landscape itself, fitting of the abandoned ruins of Glendale Station. Did they exist? Was their love so strong that it has survived for almost 150 years; strong enough to be felt by those who visit the ruins today? Unfortunately, evidence to prove their existence cannot be found, but that doesn’t prove that they didn’t exist. 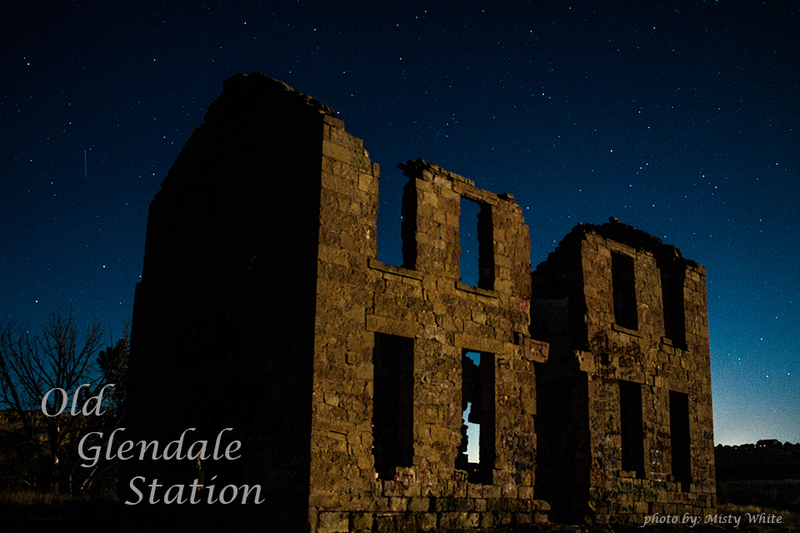 While many believe Glendale Station was set to ruin by the flood of 1921, it miraculously survived and continued on for decades to come, even still after a fire gutted it in the 1970s, believed to be set by teenagers. It seems teenagers have always been determined to destroy Glendale Station. However, it, like the legend of Kathleen and Julian, remains. If you visit any of the locations discussed on Colorado Urban Legends, or any historical location, please remember to take only pictures and leave only footprints. Also, please share your experience and pictures with me at misty@coloradourbanlegends.com. Please be sure to include specifics about the locations. Your story may be the topic of my research in the future.